Standard	: BS AND ANSI Standard. We are manufacture, supplier and exporter of Cardan shafts .Cardan shafts is a mechanical component for transmitting torque and rotation, usually used to connect other components of a drive train that cannot be connected directly because of distance or the need to allow for relative movement between them. Our company is a Universal Joint Manufacturer in India offering universal joint crosses, which are known for their precise design & durability. Manufactured from qualitative raw materials, these crosses are available in various sizes and shapes, thus meeting the requirements of our clients. GKN Driveline has a range of weight optimised cardan joints, both in the staked non-serviceable style and the circlipped serviceable style. 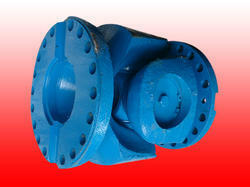 Cardan joints do not operate at true constant velocity and therefore must be limited in use to low angle applications. 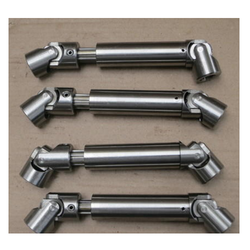 Owing to our experts and rich industrial knowledge, we are keenly successful bin presenting Cardan Universal Joints. We offer these at reasonable rates.